Thank you to everyone who trekked over to Madison Avenue Presbyterian Church Day School on Monday for Teaching Beyond the Square’s Symposium: Adventures in Tinkering Symposium with keynote speaker, Steve Davee. Steve made it clear that connections are the key to tinkering: both to materials and to each other. “Tinkering is a ‘we’ concept… things are more interesting when done together!” And the same can be said about the materials we choose to introduce. “Really fun things happen when things [materials] are mixed!” It is most important to let the children figure out discoveries for themselves. Our job, as educators, isn’t to demonstrate how to use materials; we are, instead, responsible for creating inviting provocations and supporting the children’s interests. After the keynote, educators were invited to PLAY! We explored wire, cardboard, paper, loose parts, light and motion, and more while learning from each other and gathering new ideas for our classrooms. Thank you, again, to Steve Davee, our colleagues at Madison Avenue Presbyterian Church Day School, and friends of Teaching Beyond the Square. Let’s continue to build connections with one another and cultivate serendipitous fits. We hope to see you again next year! In this keynote presentation, Steve Davee will explore and illuminate the power of tinkering as a playful learning approach that nurtures and builds on childhood superpowers of creativity and compassion. He will share concrete examples of how various tinkering materials, questions, setups, and provocations can empower outcomes beyond what is traditionally expected of material exploration. Tinkering provides context, meaning, and student-driven explorations and discoveries in science, math, engineering, and any other academic standards desired. It also nurtures design and artistic expression, and has the power to help build creative mindsets, habits of kindness, and social responsibility. For over 38 years, Steve has been providing tinkering experiences of all kinds for every age, beginning with tinkering along with babies and his baby brother in his Mother’s In-home daycare. What he has learned since, and is still learning from his preK-12 students today, fills him with hope for a future of citizens inclined to solve problems and take care of each other. Join Steve Davee in playing, exploring, and sharing ways of extending and amplifying the power and potential of simple, familiar materials. We’ll discover the joys of finding “serendipitous fits” with the materials alone, and with the addition of inexpensive light and motor components. Steve will share examples, setups, and insights in inviting tinkering experiences for children of all every age, from toddlers to teens and beyond. In this hands-on workshop led by MAPCDS Studio teacher, Julia Bosch, participants will explore the infinite possibilities of using loose parts with children ages 2-6 to inspire creativity. By reframing the way we view repurposed materials, we can uncover their potential. We will focus on provocations using everyday found objects whose simple beauty sparks imagination and promotes social learning. We will also discover how loose parts play can support curriculum in content areas including literacy, math and science. Julia will provide strategies for introducing this work to children as well as tips on sourcing and organizing materials. Seeking Potential in the Mundane: What can we do with Wire, Cardboard, and Paper? Join Robin Koo in this hands-on workshop where we will spend most of our time experimenting, testing, questioning and making with different types of wire, cardboard and paper. Robin will model some strategies and language when introducing these materials to children ages 3-6, and share tips on how to prep and organize these materials in the classroom. Join Wendy Gelsanliter, Materials Center Educator and Coordinator for Teaching Beyond the Square and Lisa Zaretsky, Founder of playAGAIN in a hands-on workshop where you will experience the creative joys and recycling opportunities that Loose Parts offer young children. We will share images of two-year-olds engaged with everything from boxes to bottle caps, and allow time for a discussion on the teacher’s role in this exciting work. Join Amy Miller, Studio Teacher at Beginnings Nursery School and coach for TBS, as she shares some of the many ways to display materials for children. This presentation will discuss material voice - how a material speaks in its own individual way as one works with it - as well as how to select found and natural objects to inspire children and their play. Steve Davee is an educator, documentation specialist, consultant, and tinkering evangelist with with over 38 years of adventures in teaching and learning with youth and adults of every age. A former Howard Hughes Medical Institute Biochemist, Steve was the Documentation Specialist and a Math and Science Teacher at Opal School (opalschool.org) for eight years, before serving for five years as the Director of Education and Chief Maker Educator for the national non-profit Maker Ed (MakerEd.org). 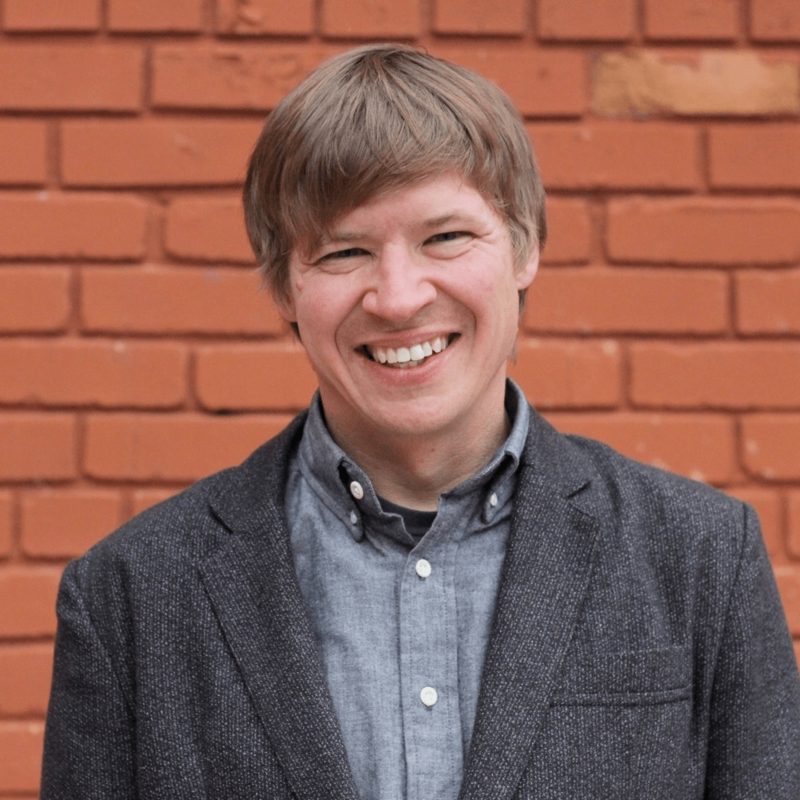 He founded CoLab Tinkering, LLC in 2008 to support greater tinkering, inventing, and playful opportunities through workshops, consulting, and summer camps. Steve serves on the Governing School Board of the CTE Public High School Center for Advanced Learning, and on the Board of Directors for the non-profit Portland Free Play (pdxfreeplay.org). 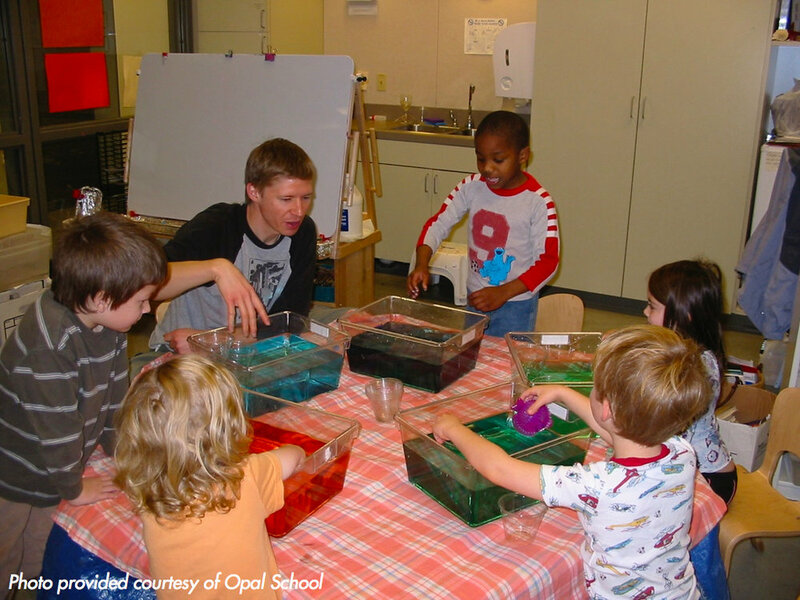 Among various design/ education consulting and teaching jobs, he currently runs pre-K tinkering workshops and helps train teachers for Portland area public preschools in Parkrose and Gladstone for the non-profit Teaching Preschool Partners (teachingpreschoolpartners.org). Steve’s current tinkering and creative outlets include authoring a book on LEGO and design, skateboarding, bike racing, vintage electronics repair, and making music with a wide variety of customized electronic and acoustic instruments. Julia Bosch earned her BFA in Sculpture and Art Education and Masters in Art Therapy from School of Visual Arts. Her post graduate work includes glassblowing, casting and ceramics. She has been the Studio Teacher at Madison Avenue Presbyterian Church Day School for the past 10 years. She previously worked as a teaching artist with Studio in a School initiating medium-driven, discovery-based education in drawing, painting, collage and sculpture encouraging authentic child directed exploration of materials. She also conducted professional development workshops in early childhood art education for school administrators, teachers and parents within New York City public schools. In her spare time she enjoys throwing pottery and spending time on the Brooklyn waterfront with her husband and two dogs Snax and Nula. Lisa Zaretsky began her teaching career in NYC in 1990.She received an M.S. in Education from Bank Street College of Education and has consistently worked with children 0-3.After many years as a classroom teacher, in 2010 she created playAGAIN, a customized program designed for babies, toddlers, and 2’s that supports their sense of wonder and budding development. Through the exploration of open-ended re-purposed materials, the program invites children, and adults, to be creative and engage in PLAY!This winter, she established the playAGAIN Loose Parts Studio at Union Square Play and the block of programs she’s developing for the space includes playAGAIN, BoxSTRUCTION, BookPLAY, TINKERtogether. In each, children and families participate in the creative joys of reusing and recycling, tinkering and discovering, connecting and learning. Amy joined Beginnings as the Studio Teacher in 2009. She has a BS in Visual Art with a minor in Art History from Pace University and a MA in Art Education from Teachers College, Columbia University. In 2010, Amy co-presented her work with children, "Living in Spaces: Children translate ideas about iconic architectural spaces through various artistic media," at the European Early Childhood Education Research Association's annual conference in Birmingham, England. Most recently, Amy was published in the March 2015 issue of "Innovations," NAREA's journal of education, with an article about collaborative work done with the AM 2/3s class. Amy has taught art classes for a variety of ages, from 2-3 year olds to adults with disabilities. She has also taught architecture courses to middle and high school students. Amy is a visual artist who specializes in stone carving and sculpture.